In August 2010 we made a decision to move our manufacturing from China back to the USA. 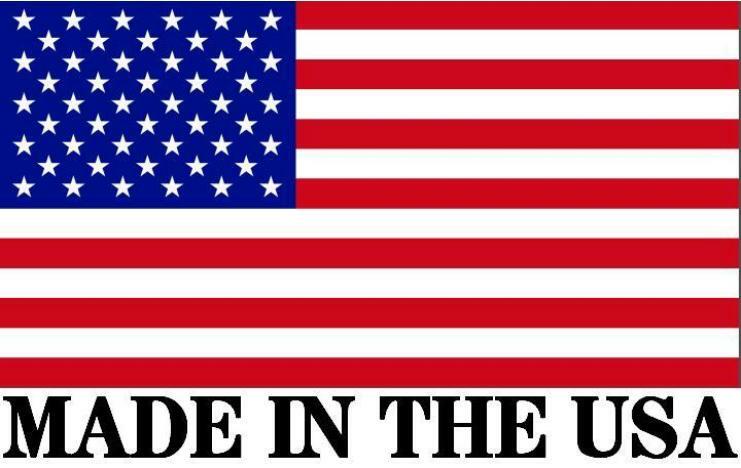 Last year 81% of the products we sold were made in America, and 100% of new production was made in the USA. 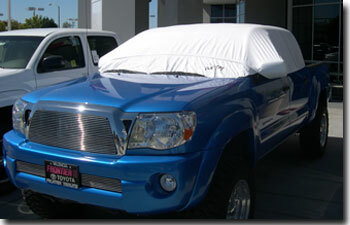 "Received your car cover in the mail yesterday. Put it on a couple hours before a snow storm here in Milwaukee, and it worked great. First time all winter I didn't have to scrape my windows. Great product!!" 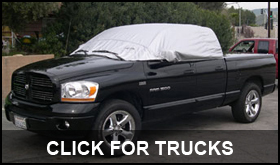 No cover can protect your interior better than a PopTop! These vehicles were fitted with a PopTop at 10 AM and were left to bake in the 105 degree heat for 3 hours. 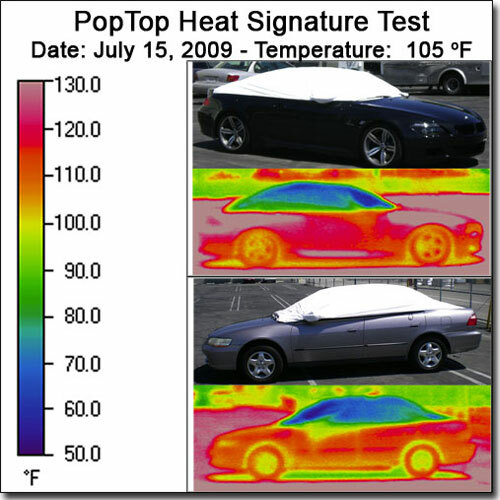 While the vehicle bodies reached temperatures of 147 degrees (black vehicle), the roof temperature only ranged between 65 and 80 degrees. 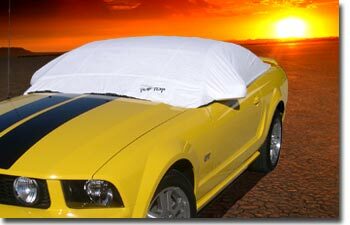 This is your full sun shade for everyday use...for about the price of a tank of gas! black auto paint can currently achieve. Proposed Action: Ban black cars from California. them rethink this approach. Yet the problem remains. colored vehicle cooler, less emissions are generated. So, bring on the black cars. 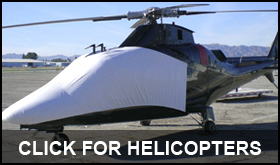 So, besides protecting your interior and soft top from the Sun's damaging UV rays; besides virtually eliminating heat build-up within your vehicle… by applying the California Air Resources Board's research, the California PopTop also reduces emissions that contribute to Global Warming. SEMA (Specialty Equipment Market Association) is the world's largest auto accessories trade show. The California PopTop was featured in their special automotive edition publication as one of their Top 25 Product Picks from SEMA 2006.